Every Friday, iCS colleagues come to work in casual dress and make a voluntary donation which is collected weekly, throughout the year. Casual Friday offers the chance to wear casual attire – such as jeans and trainers – in place of business wear. It saves time and gives us the opportunity for personal expression. At the end of the year, the donation money is counted and the company makes an addition top-up donation. For the donations collected in 2017, iCS has donated £1,000 to Macmillan Cancer Support. 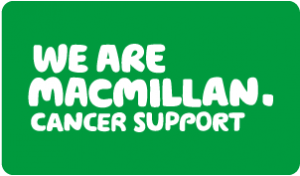 Founded by Douglas Macmillan in 1911, Macmillan Cancer Support has grown to be the UK’s leading source of cancer support, helping more and more people affected by cancer. The charity exists to reach and improve the lives of everyone living with cancer and to inspire millions of others to do the same. There are 2.5 million people living with cancer in the UK today, and as more people live longer with their cancer, this number is set to grow to 4 million by 2030. The charity wants to ensure they can provide support to everyone who needs it, to help people affected by cancer feel more in control of their lives. iCS is proud to make its donation and will continue with Casual Friday throughout 2018 considering a new charity at the end of the year.